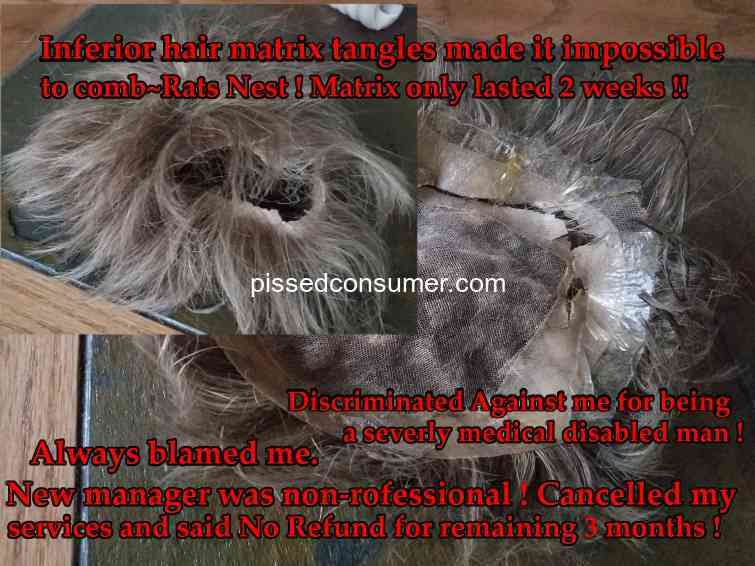 I went through nine months of treatments that cost me $3000.00 and the treatments took over an hour each time. This process is a joke. They give you minoxadol to apply twice daily and the only place I grew hair was on my face and being a woman.......well you can imagine what that was like. When I returned and asked about what the issue was I was told it is what it is!!! Then they tried to sell me some powder to make it look like hair. Are you kidding me???? I could've saved 3 grand by just using dark brown eye shadow on my widening part. BEWARE OF THIS COMPANY.